I love Halloween. It’s a great time to party. And it’s the one holiday that seems to get a lot of people’s creative juices flowing. Some of the best Halloween party ideas usually come from the least likely sources. Take Halloween costumes, for example. Some of the best Halloween costumes I’ve ever seen came from people who swear they don’t have a creative bone in their body! 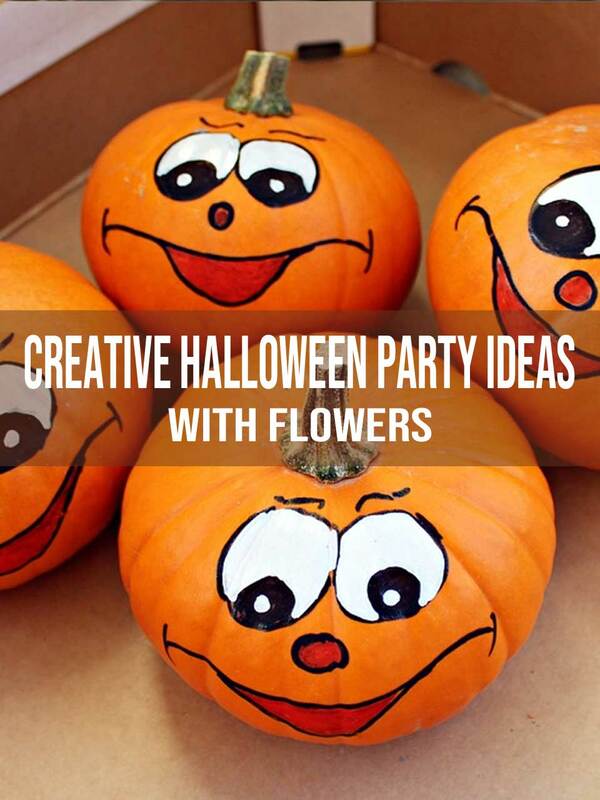 But Halloween isn’t only a great time for creative costumes, it’s also a great time to get creative with flowers, especially if you’re throwing a party. And there is no lack of ideas. Practically every magazine at the supermarket checkouts features inexpensive Halloween party ideas that include flowers. For starters, the fall season gives us a lot of nature’s best items to work with. Cornstalks, gourds, and of course, pumpkins. Pumpkins, no matter the size, are not only for carving into jack-o-lanterns, but they also make great floral containers. Simply placing floral foam inside a hollowed-out pumpkin will allow you to arrange flowers in them easily, as well as providing a source of water for them. Here’s a short video showing you how to do it. Flowers, such as the sunflowers, roses, solidago, and the ruscus used in the video, are great to use in Halloween arrangements because they last so long. Mums are another great choice because they can make a big impact with only a few stems. For a higher-end look, try adding lilies. But you don’t even have to get that fancy. A grouping of small pumpkins and gourds, accented with flowers, fall leaves, Spanish moss and a touch of greenery also makes a fun table centerpiece. If you’re looking for an elegant touch, try painting pumpkins black, gold or bronze. Or use a Sharpie to add a fun touch to a white pumpkin, which has become quite a trendy color over the last several years. For the finishing touch, adding a bit of Halloween decor will complete the look and create the proper Halloween atmosphere. If you need a few Halloween party ideas to get you started, take a look at some of these Halloween flower arrangements, as well as these Halloween party decorations, and costume ideas. 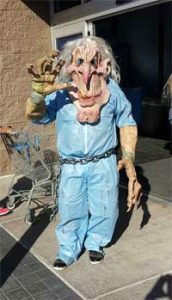 And don’t forget, if you need help putting your Halloween party ideas together, your florist is only a phone call away.